Government Contracts | Orsinger Law Group, P.C. Selling goods and services to the government can be extremely profitable and yield many lucrative opportunities. That said, dealing with the government often comes with its fair share of drawbacks, many of which present themselves in the forms of challenges and risks. The government abides by its own set of rules and regulations, many of which remain elusive to even the most-sophisticated business owner. 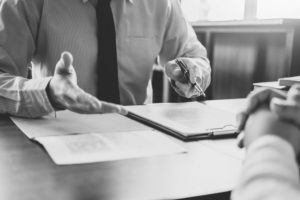 For this reason, if you plan on doing business with a government entity, or if you are already involved in business with a government entity, contact Orsinger Law Group, P.C. If there is a government contract issue with which you need help, Mr. Orsinger and our team of associates are prepared to help you fight for a favorable outcome. At Orsinger Law Group, P.C. we have a deep understanding of contract law as it pertains to government entities. We use the law to our advantage to deal with matters related to SBA affiliation, subcontracting, service contracts, and government programs. Mr. Orsinger understands better than most that even the slightest variation from the law can result in a devastating outcome for our clients, which is why we are sure to do everything by the book, no matter how tedious of a job that may entail. Clients routinely choose to Orsinger Law Group because our leading attorney provides clients with the staunch advocacy they need and deserve when pitted against such an intense adversary as the government. If you want to work with an attorney with a deep commitment to the law, excellence, and his clients, reach out to Trevor Orsinger and his team to schedule your initial consultation today. Orsinger Law Group, P.C. is a Chicago area law firm based in Wheaton, IL representing clients in a variety of practice areas including but not limited to Commercial Real Estate, Residential Real Estate, General & Business Litigation, Financial Services and Trading, Blockchain, Military Law and Government Contracts. Copyright © 2018 Orsinger Law Group, P.C. - All Rights Reserved.